After last weekend's International Drug Reform Conference in Denver, a clear picture is emerging of which states are likely to be the first to follow Colorado and Washington down the path of marijuana legalization. And while some recent polls suggest the American public is getting ahead of even the leading marijuana reform honchos, well-laid plans already in place point to the possibility of a 2014 trifecta, with Oregon following Alaska to legalization through the initiative process and Rhode Island becoming the first state to legalize through the legislature. While activists in a number of other states -- including Arizona, California, and Wyoming -- are already working on legalization initiatives for next year, reform leaders cautioned that 2016 remains a better prospect. But they also acknowledged that recent favorable shifts in public opinion, most notably last week's Gallup poll showing an historic 58% in favor of legalization, could accelerate matters. "We've been saying wait for 2016, but we seem to be changing our minds, at least a little," said Drug Policy Alliance (DPA) executive director (and key funding conduit) Ethan Nadelmann. "I keep getting surprised," agreed Graham Boyd, counsel to Progressive Insurance founder Peter Lewis (and key funding conduit). "Activists in any number of states are saying they can win now, and we're hearing this from multiple states, and polls in multiple states are also coming in much more favorable." While groups like DPA and the Marijuana Policy Project (another key funding conduit) have a game plan for the next few years that largely emphasizes 2016 for initiative states, the movement needs to be flexible enough to take advantage of emerging opportunities, Boyd warned. "The main thing is growing public support. I think you can look at the list of 2016 states and argue that any of them could go in 2014," he said. "If the public is ready in 2014 and something happens before 2016 and that lift tails off, we may find ourselves saying we missed the wave." Among those initiative states where the plan had been to wait for 2016 are Arizona, California, Maine, and Montana. In Arizona, a signature gathering campaign for 2014 is underway, but appears to be running up against the clock, while in California, two separate initiatives have been filed for 2014, but so far lack the access to big money required to actually make the ballot. Major marijuana reform players in California led by the ACLU of California also recently attempted to set the stage for a 2016 initiative (and perhaps smother the 2014 efforts, some activists feel) with the formation of a blue ribbon panel to study policy issues around marijuana regulation, taxation and legalization. The panel would study and deliberate for the next two years, meaning their recommendations would not be ready by 2014. "We put together a panel of experts headed up by Lt. Gov. Gavin Newsom, the highest-ranking official to come out in support of taxing and regulating marijuana," explained ACLU of California criminal justice and drug policy director Allen Hopper. "We tried to bring together a group of experts who right now may not advocate for legalization -- including doctors, an elected sheriff, and the California Society of Addiction Medicine -- to begin to tackle some of the policy issues that need to be resolved in California. We haven't asked people to write ballot language, but we have a range of folks who can talk to their communities. We support legalizing, but in terms of how we talk about it and how a ballot initiative campaign would be run, you have to meet the people where they are." While even the reform movement leaders concede that things could move faster than they think, the three surest bets for a legalization effort next year are Alaska, Oregon, and Rhode Island. In Alaska, a tax and regulate marijuana initiative that would also allow adults to grow up to six plants has been certified and is now in the signature-gathering process. Proponents have until next June to gather 30,169 valid voter signatures to qualify for the ballot. Alaska already allows for adults to possess small amounts of marijuana in their homes under the state Supreme Court's interpretation of the state constitution's privacy provisions. If the initiative makes the ballot and passes, Alaska will be the next state to legalize through the ballot box simply because under state law, ballot initiatives are voted on during primary -- not general -- elections, and thus will be a done deal before Oregon gets a chance to vote. In Oregon, the oft-fractious marijuana reform community appears to have largely coalesced around a control, regulate, and tax initiative from New Approach Oregon filed with secretary of state's office last Friday. As important as a unified movement is financial support from big funders, and the Oregon effort appears to have it. The campaign has already collected more than $120,000 in early funding from DPA's political action arm, Drug Policy Action; Peter Lewis; and the Oregon-based 501(c)(4) nonprofit American Victory Coalition. "New Approach Oregon is doing a legalization campaign in 2014, and based on the polling data, we think this is viable and there is a really good chance of this happening, and we've secured some funding. 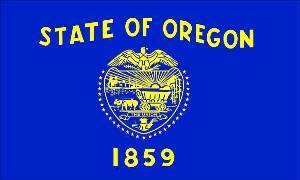 so I think Oregon is the next state to legalize," predicted New Approach founder Travis Maurer. Back east in Rhode Island, initiatives aren't an option, so activists there are looking to make it the first state to legalize via the legislative process. And they're getting some help from MPP, which thinks the prospects are good. "I think Rhode Island will be next, followed by Alaska next year and Oregon soon after," said MPP director of state policies Karen O'Keefe. "We've had medical marijuana for seven years and got decrim in 2012," explained Rebecca McGoldrick, executive director of the Providence-based Protect Families First, which has stepped in to do drug reform advocacy in the state. "Last year was the first year we focused exclusively on regulation, and the conversation is changing; even our opponents are coming around, and we believe the governor is likely to sign a bill if it's done in the right way." Those are the three states reform leaders deem most likely to legalize next year, although, as noted above, the situation remains fluid -- especially if public opinion continues to shift as dramatically as it has been doing in the last couple of years, and particularly since the victories in Colorado and Washington last year. One long-shot is Missouri, where Show-Me Cannabis Regulation has been building the marijuana reform movement for the past two years. Show-Me activists are busily holding educational meetings across the state this year, and have plans in the state legislature, but they're also eyeing the initiative process. "I'd be remiss if I didn't mention Missouri," said Boyd. "There is a lot of belief there that they are in striking range." "People say 'Missouri…really?' but Missouri is in the middle of the country, and the country is ready," said Show-Me's Amber Langston. "There's a slight possibility for 2014. We have the language pretty much wrapped up and ready; we'll see what the poll numbers look like. If not 2014, we'll do it in 2016." The race to legalize is on. The early favorites are set, but there's still time for other entrants to join the race, and there may be some surprises. It's going to be an interesting next 12 months. 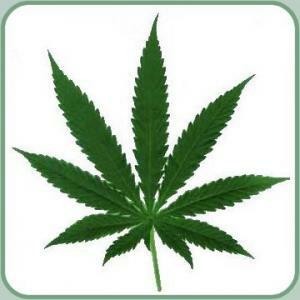 Will California wait until 2016 to vote on legalizing marijuana? A poll released Thursday strongly suggests voters in the Golden State are ready to legalize it right now. Should marijuana be legal? California says "yes." The new Tulchin Research poll has support for legalizing marijuana at just under two-thirds (65%), with only 32% opposed. It shows majority support for legalization among every demographic except one -- Republican Party members. 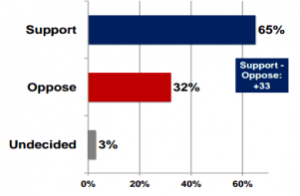 Even among Republicans, support for legalization (47%) trailed opposition (50%) by only three points. And this was not a generic legalization question. The poll asked: "There may be a measure on the ballot in the future to legalize, regulate and tax marijuana in California for adults. It would still be illegal for minors, there would be penalties for driving under the influence of marijuana, and it could only be sold in state regulated stores. The measure would tax marijuana and generate an estimated one billion dollars a year to fund schools, public safety and other essential services and there would be annual audits to ensure the money is spent as intended. Based on this, would you support or oppose this proposal?" Geographically, support was strongest in the Bay Area (73%), followed by San Diego (67%), Los Angeles County and the Central Valley at 65%, Sacramento/North (63%), the Los Angeles Area (59%), and the Inland Empire (58%). Among racial groups, support was strongest among blacks (74%), followed by whites (69%) and Asians (68%), with Hispanics lagging at 53%. Both men (66%) and women (65%) strongly supported legalization. So did all age groups, with the lowest level of support being 54% among 40-49-year-olds. "In sum, voters strongly support a marijuana legalization and regulation measure for adults that includes penalties for DUI and collects revenues to fund public services," Tulchin said. "Furthermore, such a reform is supported by nearly all demographic subgroups across the state." The poll comes as one 2014 marijuana legalization initiative is in the signature-gathering phase and a second is awaiting approval of title and ballot summary at the state attorney general's office. The conventional wisdom among deep-pocketed drug reformers is that California should wait until 2016, when a presidential election year generates higher voter turnout, which in turn favors liberal voting groups, but poll numbers like these are going to increase the pressure to get something done next year. The poll was conducted on behalf of the ACLU of California, which also announced that it is putting together a high-octane panel to study marijuana legalization for the next two years, implicitly precluding a 2014 effort. The Tulchin Research poll was conducted doing live landline and cell phone interviews with 1,200 November 2016 voters between September 26 and October 6. The margin of error is +/-3.1%. And then there were two. Proponents of a second 2014 marijuana legalization initiative filed the measure with the California secretary of state's office last Friday. An earlier 2014 legalization initiative has already entered the signature-gathering phase. The measure filed last Friday, the Marijuana Control, Legalization and Revenue Act of 2014, would legalize, tax, and regulate marijuana possession, cultivation, and sales. It would also allow adults to grow up to 100 square feet of marijuana each -- provided they have the permission of the property owner and the grow is fenced. The measure explicitly protects the rights of medical marijuana users, stating that it "shall not affect the individual and group medical rights and protection afforded" under Proposition 215 and subsequent legislation. It would create a California Cannabis Commission with enumerated powers to regulate and control commercial marijuana cultivation and sales. Commission members could not include people currently holding state or local elected office or people who have been involved with a marijuana business in the past two years. The commission must include an attorney, an accountant, a member of law enforcement, a small business owner, and a member of the public at large. The initiative touts itself as the first "open source" California legalization initiative and was largely drafted through an online consultative process by veteran activists. It must now have its title and ballot summary approved by the state attorney general's office, which has 60 days to do so, and if approved, signature-gathering can then commence. Under California initiative law, measures approved for signature-gathering then have 150 days to collect signatures. This year, they need 504,000 valid voter signatures to make the ballot. The Hererite perennial California Cannabis Hemp Initiative, which would also legalize marijuana in the state, has already entered the signature-gathering phase and has until February to come up with sufficient signatures. The conventional wisdom among initiative experts and marijuana reform backers is that the huge number of signatures required to make the ballot in California necessitates paid signature gatherers and a budget of at least a million dollars. And that's just to make the ballot. Actually winning an election would likely cost several million dollars more. The conventional wisdom is also calling for California to hold off until the 2016 presidential year, when expected higher turnout is believed to boost prospects for victory. But some Californians clearly aren't waiting. The question is whether this will turn out to be a repeat of 2012, when multiple legalization initiatives sought to make the ballot, but, lacking funds and unity, none did. Last Thursday, Navajo County sheriff's deputies raided a dispensary in Pinetop. They hit the Beyond Compassion dispensary, owned by Mike Lytle. Lytle also owned the Mountain Meds dispensary in Lakeside that was raided earlier this year. He was charged with five drug-related felonies in that case, which is still pending. He racked up two more felony possession of marijuana for sale charges Thursday. Last Thursday, the state attorney general approved the wording of a medical marijuana initiative. Attorney General Dustin McDaniel approved an initiative submitted by Arkansans for Compassionate Care that would allow patients to grow their own or buy it from a dispensary. 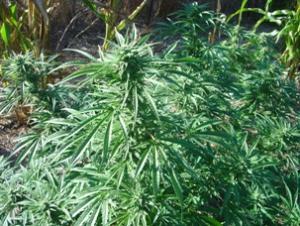 McDaniel earlier approved another medical marijuana initiative that would not allow patients to grow their own. On Tuesday, federal prosecutors dropped their case against an Anaheim landlord whose property they tried to seize over a $37 medical marijuana sale. Under federal pressure, Tony Jalali had already evicted a dispensary he had rented to when the feds brought their asset forfeiture action. Prosecutors had been seeking to drop the case for months, but had insisted that he agree to surprise inspections and promise never to rent to another dispensary. They didn't get that, but Jalali did agree not to demand that the US government pay his attorney fees. The feds dropped the case with prejudice, meaning they cannot threaten to seize his property again. They also dropped two other asset forfeiture cases, but those agreements have been finalized with the courts. Last Thursday, a Riverside County dispensary sued the city of Murrieta over its decision to ban dispensaries and medical marijuana delivery services. Compassionate Care Beneficiaries seeks a peremptory writ of mandate to set aside the city's decision. It alleges that Murrieta violated state environmental laws by failing to evaluate the potential air pollution and traffic impacts of barring dispensaries and forcing residents who use marijuana legally for medicinal purposes to drive miles farther to obtain it. On Tuesday, the Santa Cruz County Board of Supervisors moved closer to new medical marijuana regulations. The board is considering rules that would prohibit dispensaries within 600 feet of schools or each other, restricts hours and signage, and could require background checks of dispensary managers or dispensary board members. They would also limit home grows to 100 square feet indoors and 1,000 square feet outdoors. The ordinance will have a final vote on October 22. Late last month, the state began accepting cultivation and dispensary applications. Patients have been able to sign up for the medical marijuana registry for the past year, but no one has yet been authorized to cultivate marijuana. Now, the state is finally moving forward. On Sunday, the Quad-City Times editorialized against prosecuting a cancer patient for growing medical marijuana. The newspaper accused the Scott County justice system of enforcing "the letter of a law that is doing much more harm than good" in the case of Benton Mackenzie, who was arrested along with his wife, son, and parents for growing marijuana he used to alleviate his cancer treatments. Mackenzie was jailed for two months until authorities realized they might be stuck with his medical bills, and is now free awaiting trial. "Iowa is overdue for marijuana law reform in response to growing clinical evidence of its medicinal value," the paper concluded. "Iowa and Illinois are overdue for decriminalizing a substance readily available despite decades of targeted enforcement." The Quad Cities are a trans-Mississippi River metropolitan area consisting of Davenport and Bettendorf, Iowa, and Moline and Rock Island, Illinois (and East Moline, too). Last Friday, the Kansas Silver-Haired Legislature endorsed medical marijuana. The group focuses on legislation affecting Kansas senior citizens and said in a resolution that medical marijuana brings relief for numerous conditions "often found among senior citizens" as well as slowing the progress of two conditions common to senior citizens -- Alzheimer's Disease and glaucoma. Medical marijuana has gained virtually no traction in the Republican-dominated state legislature. Last Thursday, a Lansing couple whose medical marijuana use resulted in the state seizing their infant daughter saw felony drug charges against them dropped. Steve and Maria Green were arrested on marijuana manufacturing charges in 2011, but the Oakland County prosecutor dropped the charges after it was proven that Steve Green was a patient and his wife a caregiver. But the filing of those charges played a role in the state's decision last month to remove their daughter from their home. It's unclear how the dropping of charges will affect their battle to regain custody of their daughter, who is currently living with Maria Green's mother. On Friday, state officials released their 80-page draft medical marijuana dispensary regulations. The move comes after the legislature this year passed a dispensary bill, which is set to go into effect in April. The state Division of Public and Behavioral Health released the draft, which sets broad guidelines for growers, dispensaries and test labs. The draft has already excited numerous concerns and comments, and is subject to revision. Last Friday, a second dispensary won approval to start selling marijuana to patients. The Health Department announced that the Compassionate Care Foundation in Egg Harbor Township can open for business. 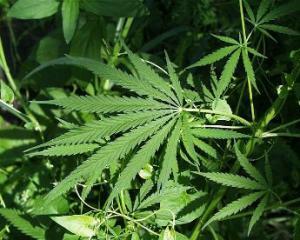 It has been growing marijuana since June, but has not announced an exact opening date. The state has authorized six dispensaries, but so far, only one has opened. On Tuesday, the Rockingham Selectboard approved an ordinance banning dispensaries. The vote came after the police chief said he didn't want a dispensary in the city and a village resident said the town already faced drug abuse issues. The ordinance can be overturned by a majority of voters at the next town meeting. On Sunday, a medical marijuana farmers' market reopened in Seattle. While providing candies, lotions, and dried buds to patients, the market is also part of an ongoing fight by the state's patients and medical marijuana industry to ensure that their rights are kept in mind as the state moves toward legally regulated marijuana for all adults. Last Thursday, two Democratic legislators announced they would file a medical marijuana bill in the state legislature. Rep. Chris Taylor of Madison and Sen. Jon Erpenbach of Middleton held a news conference Thursday to announce a new bill, saying marijuana can provide pain relief other medication doesn't. A similar measure in 2010 got a hearing, but went nowhere after that under Democratic leadership. In 2011, a similar bill got nowhere at all under a Republican-controlled legislature. The Republicans still control both houses. Polls from two more states this week show an increasing acceptance of the need to reform marijuana laws. In a Florida poll, Sunshine State voters said they were ready to back medical marijuana, while in a Maryland poll, Old Line State voters said they were ready to decriminalize and/or legalize the weed. Voters in the two states are joining a growing cavalcade of marijuana reform supporters in state polls, some of them in places where the support seemed unlikely. Just in the month of September, different polls showed majority support for marijuana legalization in Louisiana, majority support for decriminalization and a near majority (47%) for legalization in Michigan, majority support for decriminalization and medical marijuana in Oklahoma, and majority support for legalization in California. In Florida, where the Right to Medical Marijuana Initiative signature-gathering campaign is underway, a Public Policy Polling survey found support for a medical marijuana ballot measure at 62%, with only 26% opposed and 12% undecided. That poll found strong support for medical marijuana among Democrats (68%) and independents (74%). And while there wasn't majority support among Republicans, more Republicans supported medical marijuana (46%) than opposed it (41%). The poll was commissioned by the Marijuana Policy Project and the ACLU of Maryland, both of which have been working with the state legislature in Annapolis to loosen pot penalties. This year, the legislature approved a medical marijuana program, but rejected efforts to decriminalize or legalize marijuana. "Most Maryland voters recognize that marijuana prohibition has failed and believe it is time to adopt a more sensible approach," said Rachelle Yeung, legislative analyst for MPP. "By regulating marijuana like alcohol we can take marijuana sales out of the underground market and put them behind the counters of legitimate, tax-paying businesses. 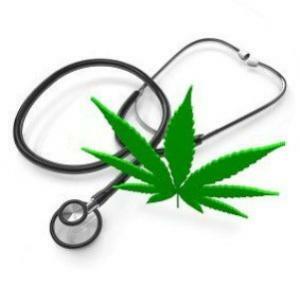 Marijuana is objectively less harmful than alcohol, and it is time to treat it that way." "Our current marijuana prohibition policies are grossly ineffective," said Sara Love, public policy director for the ACLU of Maryland. "It's time to take a commonsense approach to public safety and criminal justice. 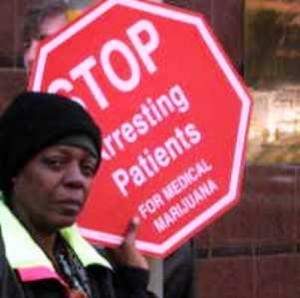 We should not be wasting resources arresting people simply for possessing marijuana. Enforcement of these misguided marijuana laws is having a disproportionate and detrimental impact on communities of color. A majority of voters agree it is time for a change." Elected officials are supposed to lead, but when it comes to marijuana law reform, it is becoming increasingly clear that the public is going to have to lead the elected officials by their noses. Alaska already allows for adults to possess small amounts of marijuana in their homes under the state Supreme Court's interpretation of the state constitution's privacy provisions. In Arizona, Safer Arizona is sponsoring an initiative to amend the state constitution to allow for legal, taxed, and regulated marijuana use and commerce. The group filed the measure last week with the secretary of state. It now must gather 259,213 valid voter signatures by July 3, 2014 to qualify for the November 2014 ballot. Organizers there said it would be a grassroots campaign relying on volunteers. The conventional wisdom for initiatives in high signature-count states is that they require paid signature-gathering efforts to succeed at a rough cost of a dollar or more per signature obtained. Arizona voters approved a medical marijuana initiative in 2010, but that initiative squeaked through with barely more than 50% of the vote. In Oregon, Paul Stanford, the controversial proponent of last year's failed marijuana legalization campaign, is back with two more measures, and other activists could file yet a third. Stanford's Oregon Marijuana Tax Act initiative largely echoes the language of last year's underfunded initiative, which picked up 47% of the popular vote, but reworks a contentious provision relating to a commission to regulate marijuana and hemp commerce. Stanford's second initiative would simply legalize the possession and production of pot by adults 21 and over with a proviso that the state could impose regulations. Stanford's move has inspired other Oregon activists organized as New Approach Oregon to say that they will likely have a better alternative initiative. "Something will be on the ballot," the group's Anthony Johnson told The Oregonian. "Either it's going to be a responsible measure or something not as well-vetted." Stanford said he will conduct polling on the various measures before moving forward. If legislators can't get around to legalizing marijuana, activists in initiative states want to let the voters do it for them. That's three states aiming at 2014 so far, and we're still a year and half out from election day.